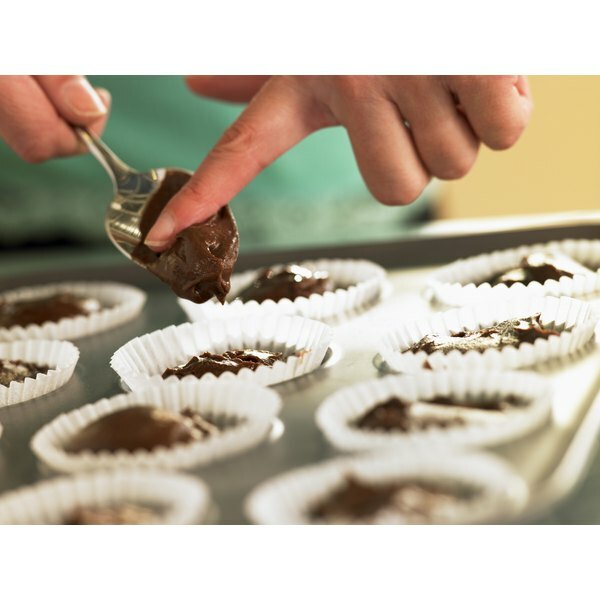 Drop a piece of candy into unbaked cupcake batter for an easy sweet treat. Create a surprise center in homemade cupcakes by baking a piece of candy inside. Candies that work well for embedding in cupcakes include chocolates, caramels, gumdrops and candy corn. Soft, chewy candy helps enhance the flavor of the cupcake, since it melts a bit when baked. Try chocolate cupcakes with peanut butter cups or malt balls inside. Tuck white chocolates or chocolate-covered cherries inside white cupcakes. Rolling soft candies in flour before embedding them in batter helps keep them from sinking to the bottom of the cupcake as it bakes. Freeze soft or chocolate candies overnight. Prepare your favorite cupcake batter recipe from scratch or use a boxed cake mix. Spoon batter into each cup until it is 1/3 full. 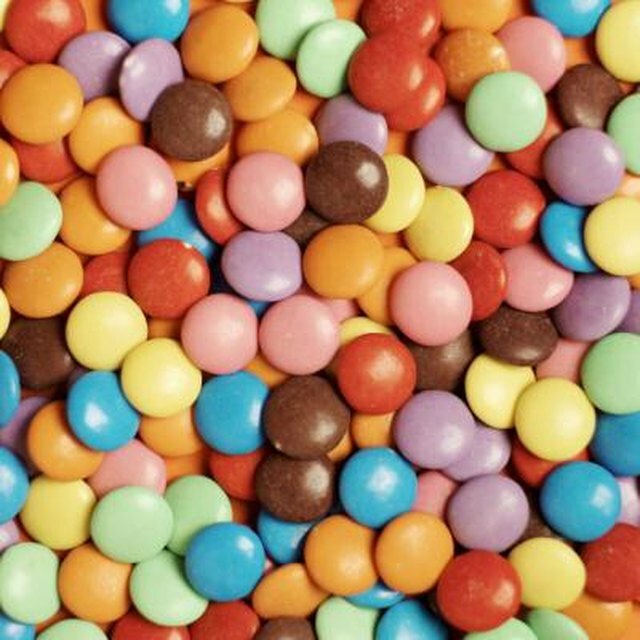 Dredge frozen candy that can melt, such as chocolate or caramel, in a bowl of all-purpose flour. Each candy should have a thin coating of flour all the way around. Lay one piece of candy on top of the batter in each of the cupcake cups. Fill the cups the rest of the way with batter. Bake according to package or recipe directions.